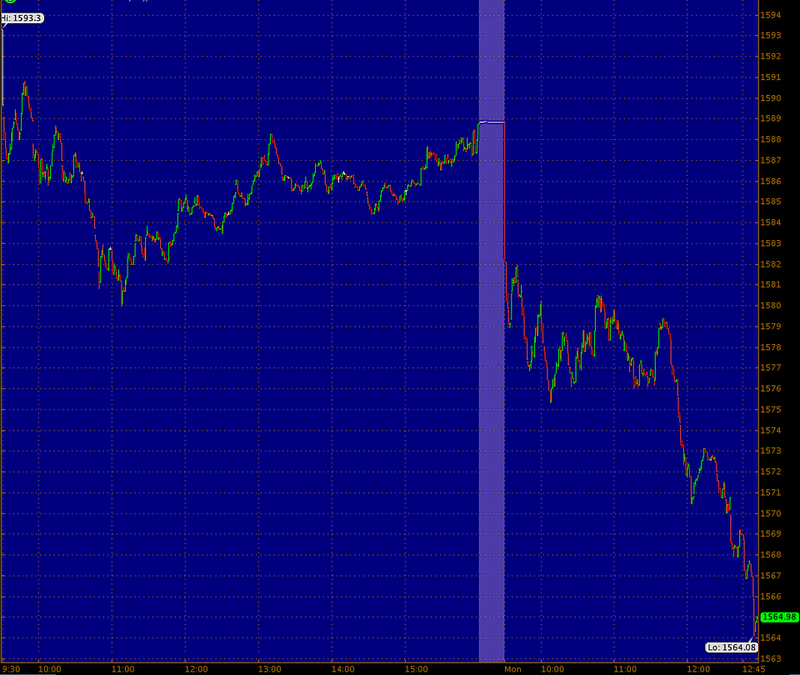 Gold is getting destroyed today. In fact, the entire commodity complex is selling off pretty hard. Stocks are also coming under heavy selling pressure, and unlike commodities, they are currently making new intraday lows. Right now, the S&P 500 is down 1.5 percent, trading around $1564 (and t he Dow Jones Industrial Average is down 185 points). The biggest laggards today probably won't surprise anyone. Freeport MacMoRan, the gold miner, is down 7.3%, while Cliffs Natural Resoruces is down 5.9% and Pioneer Natural Resources is 5.4% lower. Meanwhile, homebuilders are getting hit too. PulteGroup is down 5.3 percent, and DR Horton is down 5.0 percent. Earlier this morning, NAHB's monthly index of homebuilder sentiment unexpectedly fell. ZERVOS: Everybody Back In The Pool!